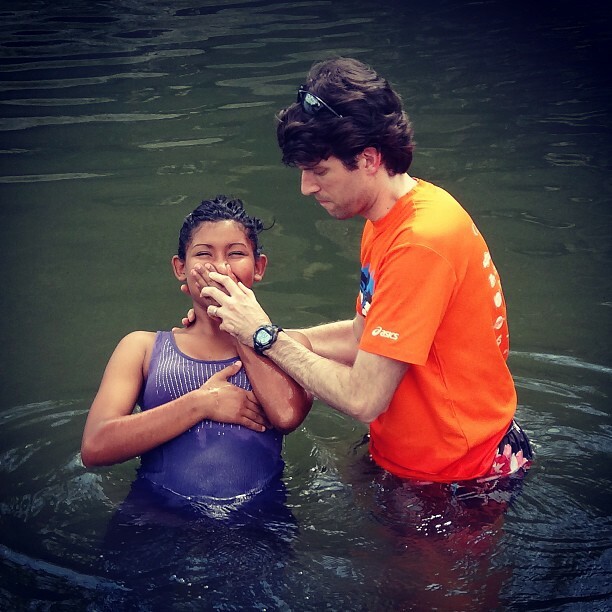 Baptizing Rosahisela Briceños into Christ…Today was another great day in Namasigue for the evangelism team. Four new sisters were baptized into Christ! These included Rosa and her friend Maryuri Gomez Jarquin, along with Belsa Marina Vetancos and her daughter Joseline Escaleth Aguilera. Please pray for these new sisters. Praise God! Home » Blog » Faith » Baptizing Rosahisela Briceños into Christ…Today was another great day in Namasigue for the evangelism team. Four new sisters were baptized into Christ! These included Rosa and her friend Maryuri Gomez Jarquin, along with Belsa Marina Vetancos and her daughter Joseline Escaleth Aguilera. Please pray for these new sisters. Praise God!